Sézalory is a self-taught women, who loves freedom and doesn’t like rules. She only moved to the apartment last summer and made her own interior story on creating the place as a home. One thing that keeps her going in the decoration are lamps. Which are like little jewels that can change a whole room. 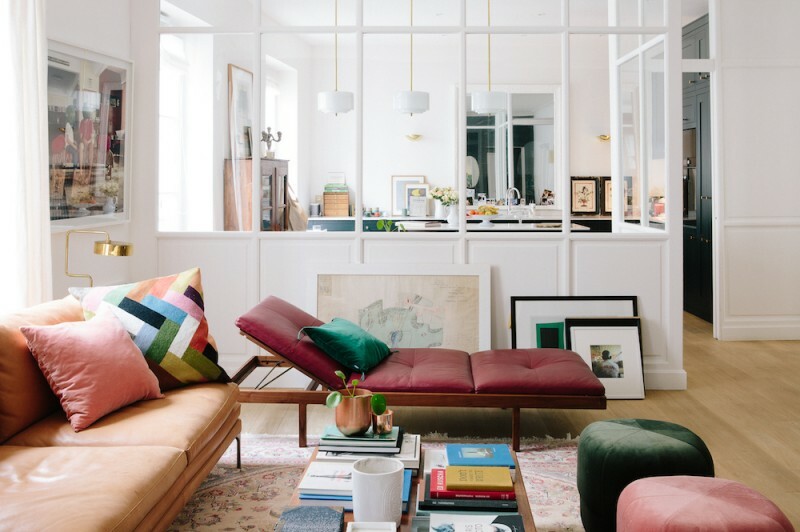 The ones in her living room are designs by Red edition and India Mahdavi. The lovely Pouf ottomans are by Normann Copenhagen. Photos and styling by Alpha Smoot for Cup of Jo.